Do you have a "family" coat of arms? If so, it may not be exactly what you think. Many people throughout history have used coats of arms ornamentally without giving much thought to the accuracy of their design or their own right to use them. There are, unfortunately, many companies in business today who will sell you "your family coat of arms" on a t-shirt, mug, or 'handsomely engraved' plaque. While these companies are not necessarily out to scam you, their sales pitch is very misleading and, in some cases, outright incorrect. What Is a Coat of Arms? A Family Crest? A coat of arms is essentially a graphic display of your family's name, made unique in some way to the individual bearer. A traditional coat of arms typically includes a patterned shield that is decorated with a crest, a helmet, a motto, a crown, a wreath and a mantling. The oldest son would often inherit the coat of arms from his father without any changes, while younger brothers often added symbols to make theirs unique. When a woman married, the coat of arms of her family was often added to her husband's arms, called marshalling. As families grew, the shield of the coat of arms was sometimes divided into different parts (e.g. quartered) to represent the merging of families (although this is not the only reason a shield might be divided). Many people interchangeably use the terms crest and coat of arms to refer to the same thing, however, the crest is just one small part of the full coat of arms— an emblem or symbol worn upon a helmet or crown. How Do I Find My Family Coat of Arms? Except for a few individual exceptions from some parts of Eastern Europe, there is no such thing as a "family" coat of arms for a particular surname - despite the claims and implications of some companies to the contrary. Coats of arms are granted to individuals, not families or surnames. A form of property, coats of arms may rightfully be used only by the uninterrupted male-line descendants of the person to whom the coat of arms was originally granted. Such grants were (and still are) made by the proper heraldic authority for the country in question. The next time you come across a product or scroll with a family coat of arms for your surname, remember that your carrying of a particular name, such as Smith, doesn't grant you the right to any of the hundreds of coats of arms borne throughout history by others named Smith. Therefore, how could an individual or company that has not researched your direct family tree know whether you have inherited the right to display a particular coat of arms? If you're looking for something fun to wear on a t-shirt or display in your home, then these items are okay, though misrepresentative. But if you're looking for something from your own family history, then buyer beware! Was My Ancestor Awarded a Coat of Arms? If you would like to learn if a coat of arms was awarded to one of your ancestors, you will first need to research your family tree back to the ancestor you believe may have been granted a coats of arms, and then contact the College of Arms or appropriate authority for the country your ancestor was from and request a search in their records (they often provide this service for a fee). 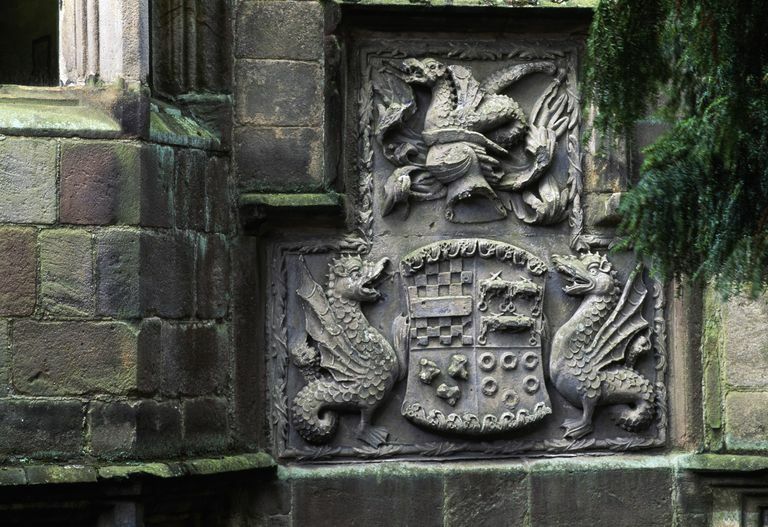 While it is unlikely, although possible, that an original coat of arms was granted to an ancestor on your direct paternal line (handed down from father to son), you may also be able to find a family connection to a coat of arms. In most countries you can design and even register your own individual coat of arms, so you could create one for yourself based on the arms of someone who shared your surname, from another ancestor in your family tree, or from scratch—to represent something special to your family and its history.